A leaked screen protector for an unreleased "Moto S" has refueled speculation that Motorola is building Google's next Nexus smartphone. Supposedly codenamed "Shamu" internally, the device is expected to make its debut on Verizon with an impressive set of specifications. I know what you're thinking: how can we be so excited about a screen protector? Well, it comes from TK Tech News, who has been an incredibly reliable source of various leaks in the past — including Samsung's latest Galaxy S5 Active. It's not just a screen protector, either. The sheet has Motorola's logo printed on it, alongside the handset's "Moto S" name — and there are also some identification numbers that have had to be covered up to protect the source. This is the first hard evidence we've seen so far for the long-rumored "Shamu," which is believed to be the next Nexus smartphone. TK claims in the video below that the device will have a Quad HD or 2K display that's 5+ inches in size, a 13-megapixel camera, and a "ridiculous amount of RAM." The screen protector also suggests that like other Motorola handsets, the Moto S will have dual front-facing speakers. 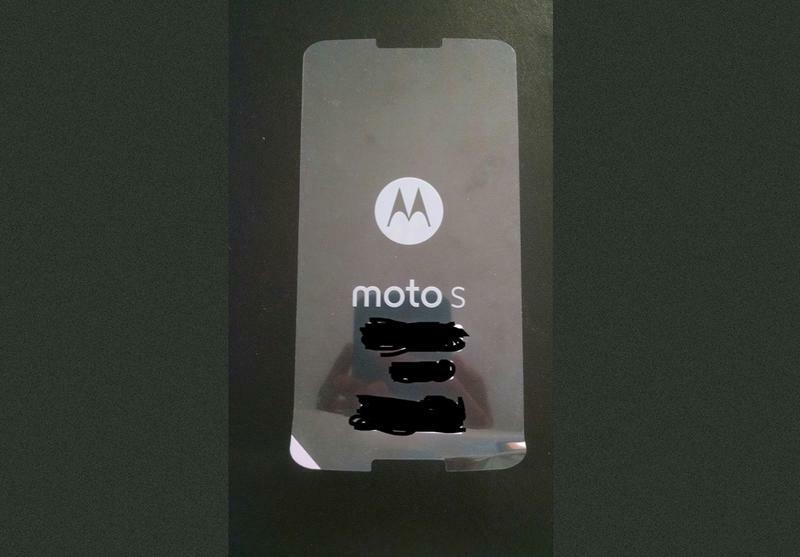 It's unclear at this point when the Moto S will make its debut. We're not expecting to see it at the Motorola event on September 4 — the Moto X+1 and the Moto G2 are likely to be the stars of that show — but we could see an announcement from Google or Verizon in October when the Nexus 5 celebrates its first birthday.